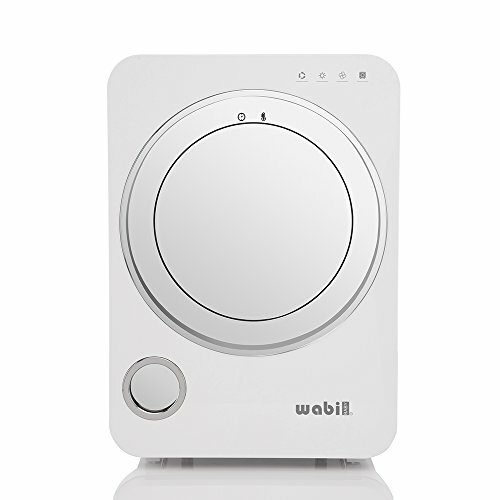 The WABI Baby UV Sterilizer is a convenient, state-of-the-art drying and sanitizing station that provides you with the ultimate in sanitary efficiency. Using our patent pending low-temperature technology with precise PTC heating element for drying and scientifically-proven dual UV lamps for sterilization, this easy-to-use device safely and effectively dries and sanitizes baby bottles, pacifiers, and more in as little as 30 minutes. This sleek and powerful device eliminates 99.9% of harmful bacteria, and is safe to use on all of your baby's various feeding gear. The gentle heat and effective UV rays can safely dry and sterilize all sorts of things: particularly handy for jewelry, electronic devices, and sunglasses. After using your WABI Baby UV Sterilizer, give it a wipe-down with a clean cloth to keep its sterilization properties at peak performance. Optional storage setting activates UV sterilization for one minute, every two hours, ensuring all feeding gear remains completely sanitized throughout the day. Dual UV bulbs safely and efficiently eliminate 99.9% of E. Coli, Salmonella, Staph, and other harmful bacteria.